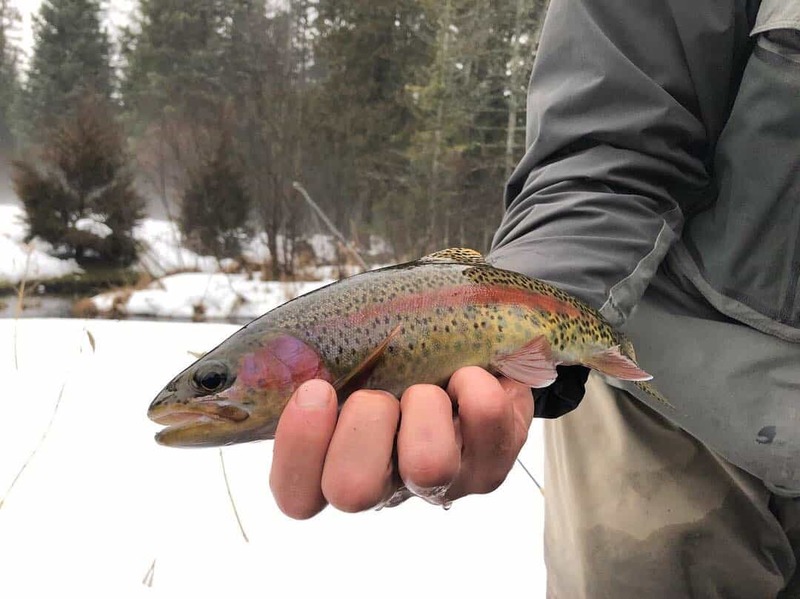 Winter trout are particularly magic. The river is often cold and dark and the woods are still. And by still, I mean seemingly devoid of life. I’m not one for big crowds, but the feel of life in the rod on a winter afternoon is not just welcome, it’s reassuring. Winter gets lonely. A colorful trout wiggling from the dark depths brings heat, and brief company. Success came across the board. 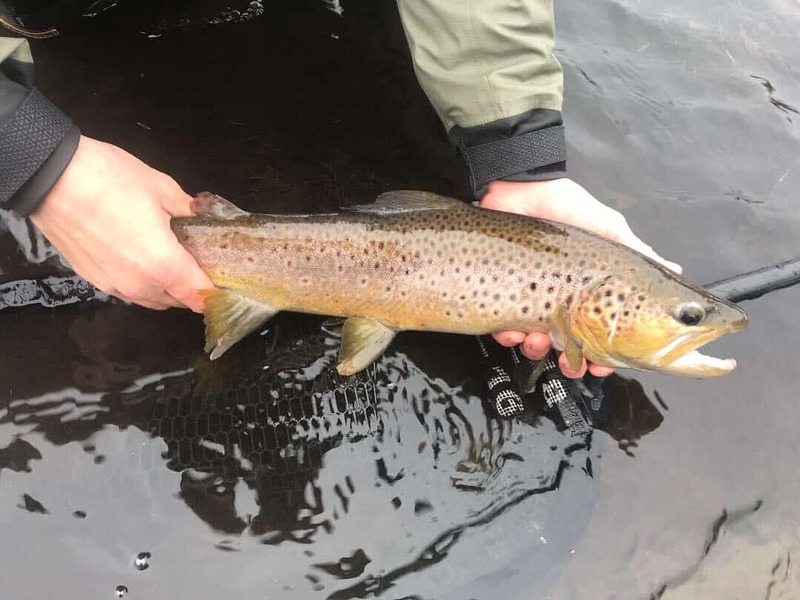 I did well on a little beadhead nymph. I think the key is to fish two flies and mix them up. I really like fishing an anchor fly with a dropper and a small indicator, on a long tippet, and adding split shot after I’ve worked a run without it. I’m amazed at how often subtle changes make a complete difference. The weather looks terrible tomorrow, but it’ll make for some good fishing…and I suspect I’ll be out there, rain jacket heavy with ice, looking for a little last second love before the winds start ripping from the north for the next week. 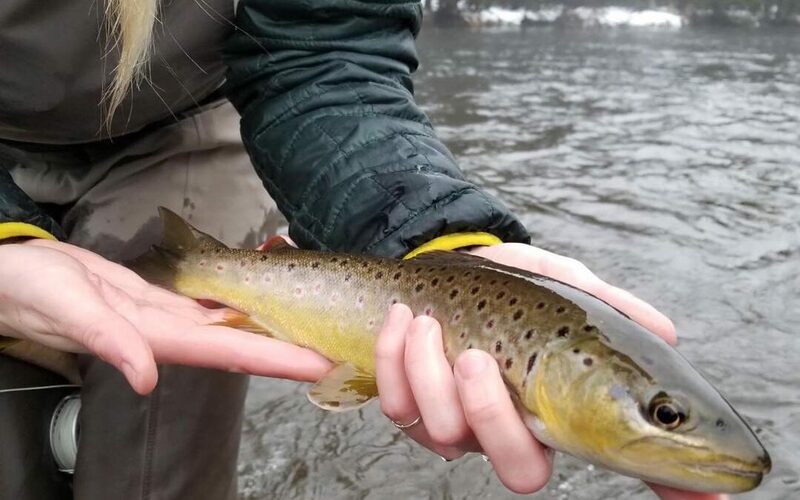 There aren’t too many great trout days on the horizon, but thankfully there aren’t too many bitterly cold ones either. Please note that this weekend our restaurant will be closed, but we will be tying on Saturday! A little less formal than normal, pizza and good times, 9 am – 1 pm.